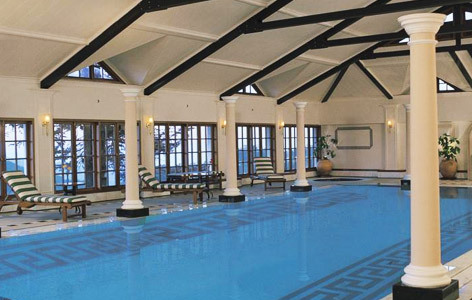 "Oberoi Cecil Shimla is a memorable getaway in the hill station of Himachal Pradesh. 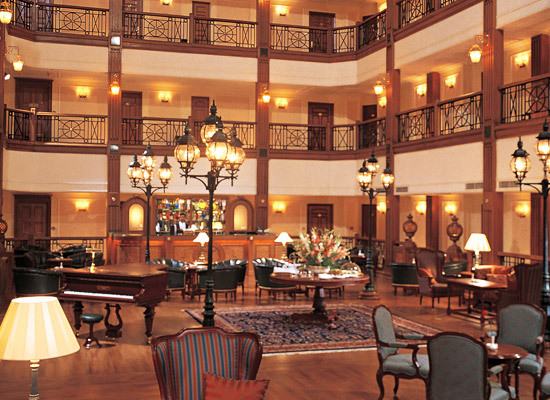 Drenched in colonial charm, the hotel creates a wonderful holiday. Built in the 1880s, the hotel has preserved its authentic charm adding to it 5 star luxuries. The Oberoi Cecil is located at the quieter end of the busy Mall Road, near the Viceroy Lodge. It is a heritage monument as it dates back to the ear of British rule in India. The interiors are re-created in the same charm. The hotel houses a spa, restaurant, swimming pool, fitness centre, and other conveniences for the comfort of guests. Revel in the beauty of the Himalayas with your stay at the splendid hotel. The lure of the mountains can be experienced from every nook and corner of the hotel. 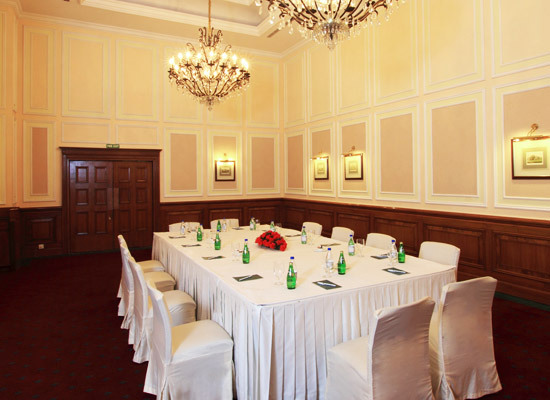 From the days of the British Raj, around 130 years ago, Oberoi Cecil had been Shimla’s well-known hub. It was an exclusive hotel, known for its extraordinary ballroom dances and chic clientele. In 1997, Oberoi Cecil opened its doors for guests once again. It is restored to its original grandeur with wood floors, period furniture, crackling fires and an inviting ambience. 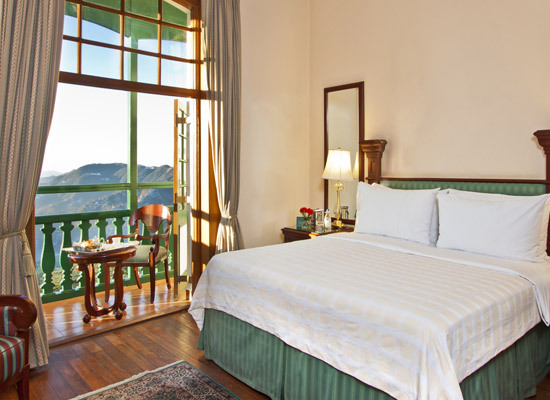 The rooms are built around a beautiful atrium and offer splendid views of the Himalayan mountains and valleys. Relish a holiday which creates the bygone days without being away from the modern comforts. Oberoi Cecil has 75 rooms. Available in different categories all rooms open up to breathtaking views of the Himalayas and are equipped with state-of-the-art luxuries. The best of decor, amenities and ambiance is re-created in the luxury suites of Oberoi Cecil. Enjoy marvelous views of Himalayas from the windows. The furniture comprise of a king size bed, work desk, cabinets, storage, etc. The entertainment options, en-suite bathroom and other amenities adds to the comfort of your stay. The deluxe suite offers lavish amenities for guests. The comfy king size bed and other furniture are pleasing to the eye. Windows open to scenic view of the mountains. En-suite bathroom, entertainment features and other facilities are also available. Premier Valley View rooms as its name suggest offers breathtaking views of the mountains and valleys. The comforts of the room also do not lack behind. En-suite bathrooms laden with lavish features. King-size bed and elegant furniture add to the appeal of the rooms. Resplendent in colonial charm, the modern conveniences makes the luxury room a wonderful place to stay. Enjoy the comfort of a king size bed with plush mattress. En-suite bathroom is elegant. Entertainment and all facilities are catered to guests. A lavish accommodation, the deluxe room is a pleasant stay in the hotel. Revel in the comfy amenities the room is laden with. The views form the windows are nothing short of spectacular. The furniture kindles the memory of bygone era. The luxurious amenities makes your stay a memorable one. 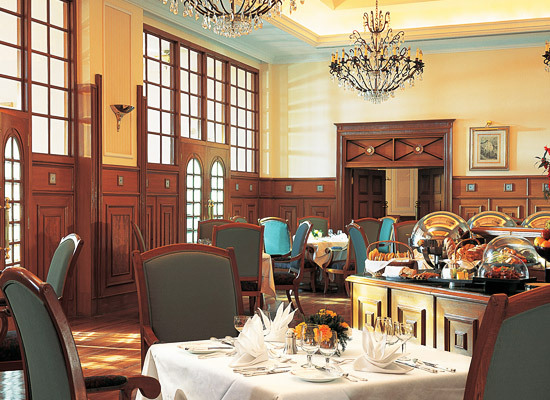 Dining is a pleasure at Oberoi Cecil. Transcend to the colonial times. Seated at the most chic ballroom in Shimla, with views over the mountains, savor the unparalleled Western, pan-Indian and special local Himachali cuisine. The restaurant creates delicious dining experiences for couples as well as families. Located in the Atrium Lobby, the Lounge and Bar is the place to be to spend relaxing evenings. Guests can enjoy tea or a quiet drink in front of a roaring fire. The ambiance is soothing and you feel refreshed by the collection of drinks. Pick up and drop facility from Airport and railway Station. Shimla is a beautiful Himalayan Getaway. Snuggled in Himachal Pradesh, the city is a living memory of the colonial era. The beautiful capital has been a favorite hangout since the British Raj. The breathtaking natural splendor of the mountains, lush valleys and fresh air lure tourists in great numbers. Revel in the thrilling adventures, mesmerizing sights and experiences the bliss of the quaint hill station.